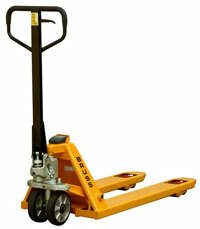 The BRUSS B-1 is the entry model of the BRUSS Hand pallet truck scale line. 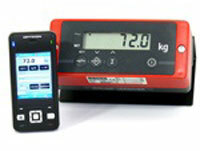 This robust system is ideal for the cost conscious user who wants to experience the advantages of mobile weighing. The compact LCD indicator of the BRUSS B- 1 shows the weight in steps of 5 kg and works on two AA batteries (1.5V). 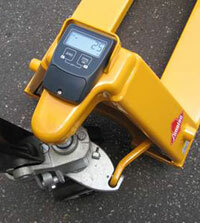 In order to weigh the goods, the pallet has to be lifted to the electronically measured reference height, which will be shown in the display.